Hello @Bjørn ! The international crowd keeps growing. You'll get lots of ideas here and lots of advice should you want it. Looking forward to seeing some of your cosplay makes. Anyone in particular you want to emulate? 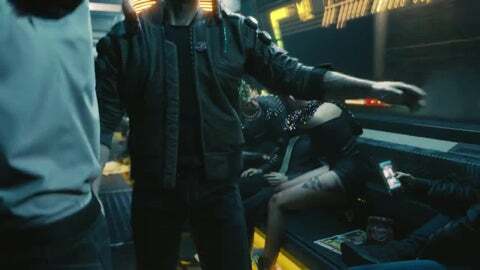 My first plan is to make V's jacket from Cyberpunk 2077. Yes, I know, quite the project for a starter, but I'm well aware I will fail several times before I really get it right. Plan to make a second one, without electronics inside, for normal wear too. 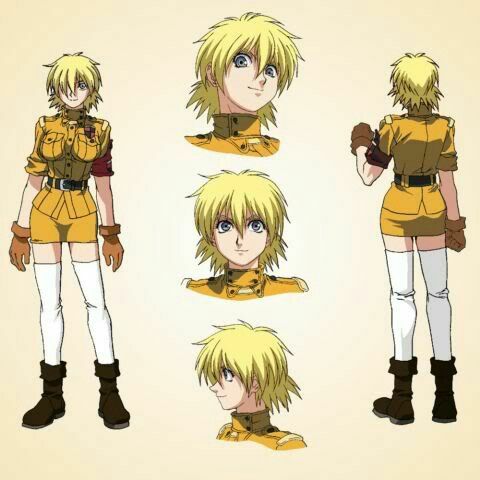 In the future I may do a genderbender Seras Victoria from Hellsing. But I'll have to do some work till then, and not just sewing. Maybe something Viking-ish sometime. Not from the Series, just from the general theme. But other than that, nothing planned yet. At least no other cosplay. I look forward to a detailed account of your progress. Especially with the lights, which I think you should definitely include. Ha! Wasn't you @Bjørn ,'twas being born in the 50's, or Mid Century Modern if you prefer. That is all the rage now after all. Cyperpunk 2077 looks interesting. I really enjoy Dystopian future settings. Since CP2077 is set in the Free State of California and I live in what I call Middle California I'm liking the concept. The online description sounds pretty much how I imagine CA to be in 60 years. V's jacket will be a fun challenge. I am always amazed at what cosplayers without much technical crafting or sewing background can come up with. Sometimes it's good not knowing what you don't know as it eliminates imagined restrictions. The experienced ones are mind blowing. I'm sure you've seen what Maul Cosplay and his team have come up with for V. Wow. As for the lighting, @Manuela recently made a dress with LED components and conductive thread. She's our resident expert on lighting effects and sources for supplies. @Bjørn , there is no need to make a second jacket without LED lights for 'normal wear' (whatever 'normal' means ). If you want to wash it/wear without turning the lights on, you could just take the batteries out. If you have a clearer picture that shows the lighting effect, please post it - I can then put my thinking cap on to suggest how to achieve it. You're right @Renegade Sewist , there are so many possibilites when you have no clue what you're doing Naturally, having some expertise helps, but I wouldn't want too much of it before setting my own mind to work on how to solve a problem, or do a thing. & Yeah, I've seen what Maul Cosplay has done and I'm somewhat jelly he/they got the chance to make one before the trailer launched. 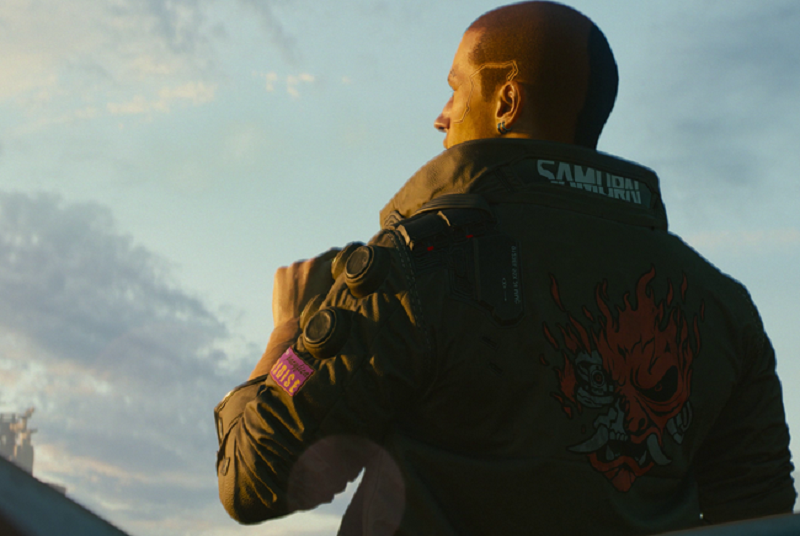 But then again he/they probably have good contact to CDPR, and he/they are quite well known cosplayers too. So not that big of a surprise. The idea I started out with was that I cut out the Oni/Demon Face, and glue in a clear plastic. Have to experiment a bit what I use for the coloring, maybe a layer of colored plastic on the inside, maybe some thin colored paper, maybe something completely different. Not sure yet. My idea was to light it up with EL Panel / Backlight Panel, same for the collar. And yeah, I thought about making the power source removeable, wanted to see if I could use a powerbank as supply so it'd be easily rechargeable too, and could be multifunctional. But I for now am not yet wholly sure how the comfort of all those electronics in the jacket would be, so for that I made myself mentally ready for making a second one without the light, where I wanted to simply sew the Oni/Demon out of cloth and then onto the back. @Bjørn - that lighting effect is a completely different ballgame to what I did, not sure how to get about this. But I'd still think you'd only need to do one jacket, if you use a removable power source. If your power source is a bit too bif for every day comfort, you could play around with the idea of adding a pocket inside the jacket to store it. BTW, I didn't mean to suggest you have no skills or expertise, so wanted to make sure you weren't thinking that. I have seen some amazing first/early projects from cosplayers who have never sewn and done little or no craft work prior to setting off to make a favorite character come to life. It is so refreshing to see. Since they don't know the "rules" for whatever media they are working with they tend to be results oriented rather than sticking to doing things properly. The ingenuity of how some costume are created is a blast to follow along with. No worries @Renegade Sewist , didn't take it like that, just maybe phrased my answer a bit easily misunderstandable. For what I meant is exactly what you mean too. That as someone who learns a skill kinda by yourself instead of having a 'proper' education in it, you might think of solutions someone with that education wouldn't have thought of, because they've been spoonfed how to do it 'the right way'. Exactly! Add in how ready to brainstorm and share information with each other cosplayers are and it's quite a creative opportunity. At university I had a technical illustration teacher spend well over an hour teaching us how to properly wash our brushes then supervised us in groups of 3 cleaning our own to make sure we did it right. Good brushes can be extremely pricey. It's actually a skill I still use, but it's also a bit overkill. Hmmm.....It sounds a bit like I'm a dinosaur reading that. That class would be using CAD and an illustrator program now. You're probably right, in such classes it would be more common to use CAD and Photoshop or similar programs, but then again I think there still are classes for real painting. After all, at least in my opinion, doing things non-digital still has something to it that the digital way doesn't. Like taking notes, writing letters, making mindmaps, or scribbling. ,'twas being born in the 50's, or Mid Century Modern if you prefer. That is all the rage now after all. Oh, I like the idea of Mid Century Modern (haven't come across that expression before). Unfortunately I'm probably too old to qualify - born mid 40s.